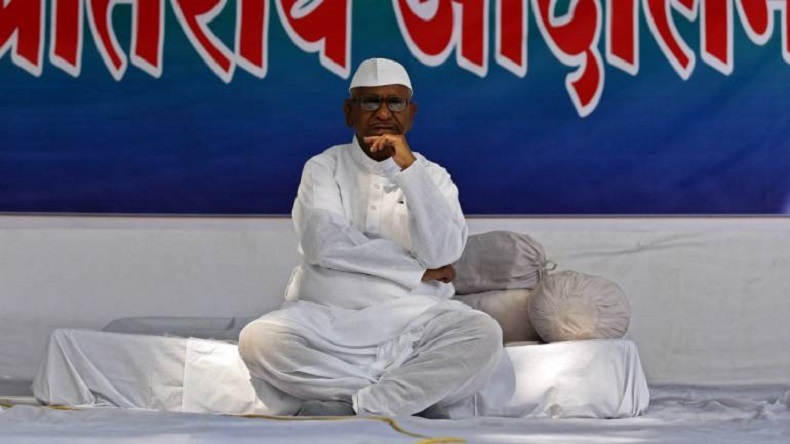 Lokpal: Over the delay in appointments of Lokpal and Lokayuktas, social activist Anna Hazare has decided to on a hunger strike in his village Ralegan Siddhi from January 30 against Devendra Fadnavis and Narendra Modi governments. This comes days after the Supreme Court fixed the deadline for the search panel to recommend the panel of names for the appointment of first Lokpal of the country. Lokpal: Social activist Anna Hazare has decided to go on a hunger strike from January 30 against the Devendra Fadnavis and Narendra Modi governments for delaying the appointment of Lokpal (anti-graft Ombudsman). According to news agency ANI, Anna Hazare will observe fast from January 30 in his village Ralegan Siddhi in Maharashtra. He said both the Houses of Parliament had passed the Lokayukta Bill in December 2013 and it was enacted on January 1, 2014, but nothing has been done for the appointment of Lokpal ever since the Modi government came to power in 2014. He had also written a letter to Chief Minister Devendra Fadnavis criticising the Maharashtra government for only giving assurance but not implementing it. This comes two days after the Supreme Court fixed the deadline for the search committee to recommend the panel of names for the appointment of first Lokpal of the country. A bench headed by Chief Justice Ranjan Gogoi, also comprising Justices LN Rao and SK Kaul said it would hear the matter again on March 7. The Lokpal search panel is headed by retired Supreme Court judge Justice Ranjana P Desai and selection panel is headed by Prime Minister Narendra Modi. The search panel has been asked to submit the final list for consideration by the end of February 28. Anna Hazare’s decision comes months ahead of crucial 2019 Lok Sabha elections. The bench told advocate Prashant Bhushan, who had raised doubts on the working of the search panel, that he should not look at things from a negative point of view as they were trying to make the world a better place. Mr. Hazare is “Demanding” publicity, as he failed to “Command” it ! !